Ritchie Bros. 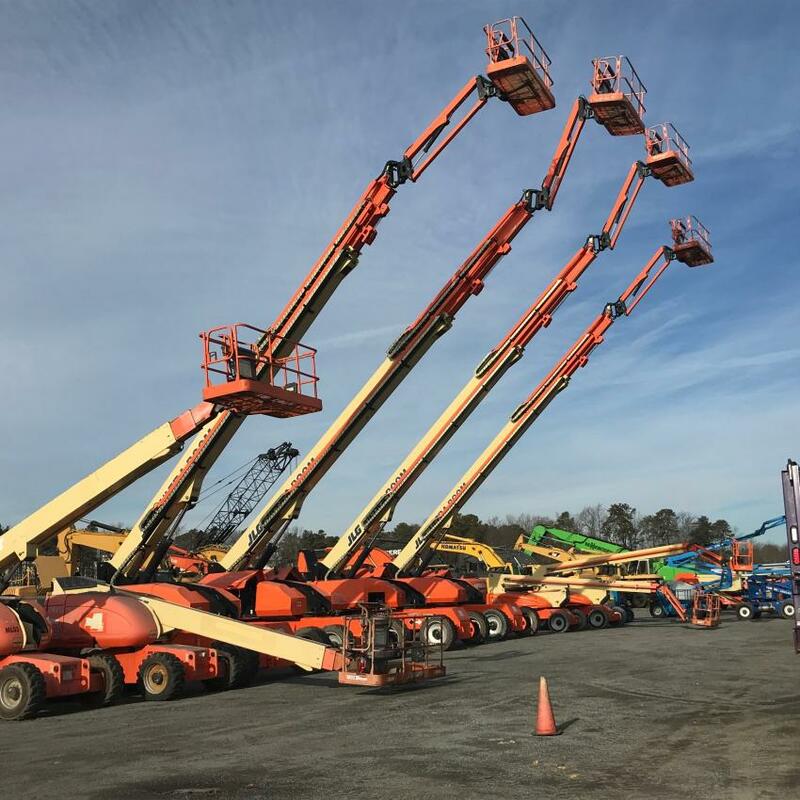 Holds December Auction in North East, Md. 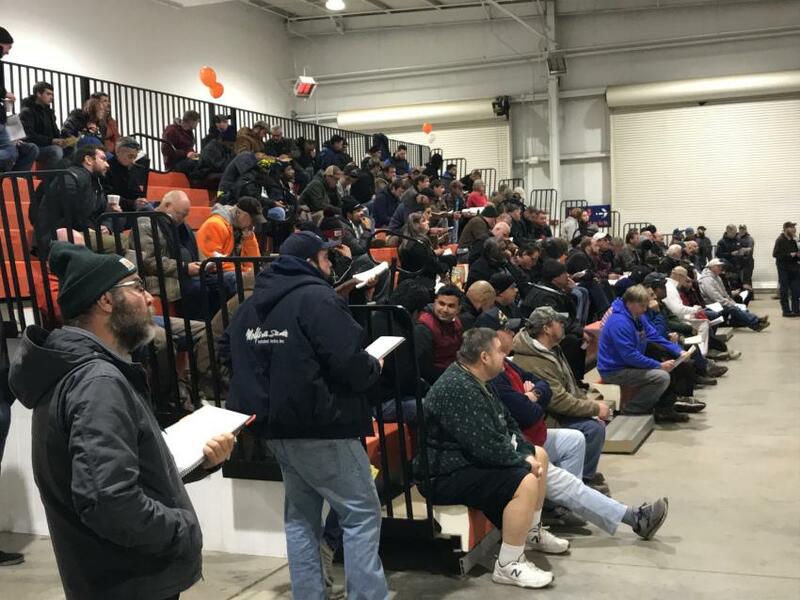 More than 4,300 bidders participated online and in person at Ritchie Bros.' multi-million-dollar unreserved public equipment auction Dec. 19, 2018, in North East, Md. 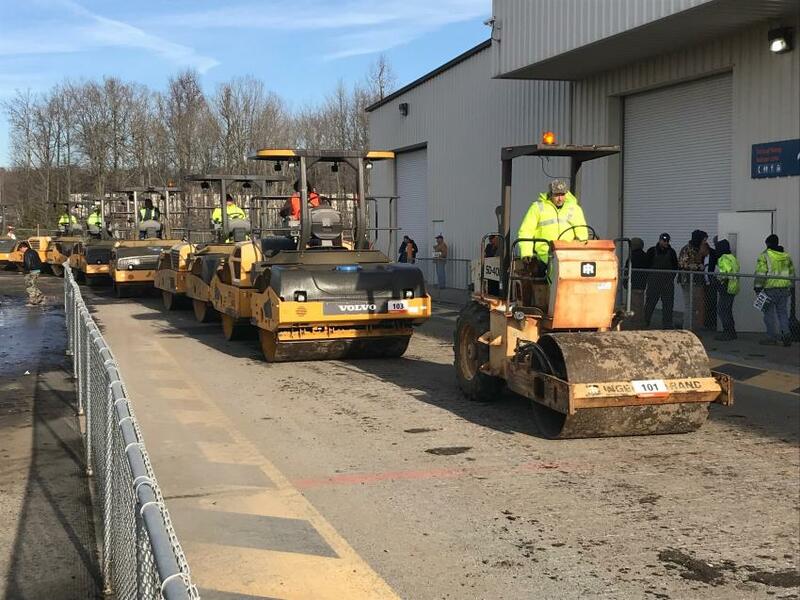 With bidders from 51 countries, approximately 87 percent of the equipment in the auction was sold to out-of-state buyers, from as far away as Russia, Nigeria and Taiwan. 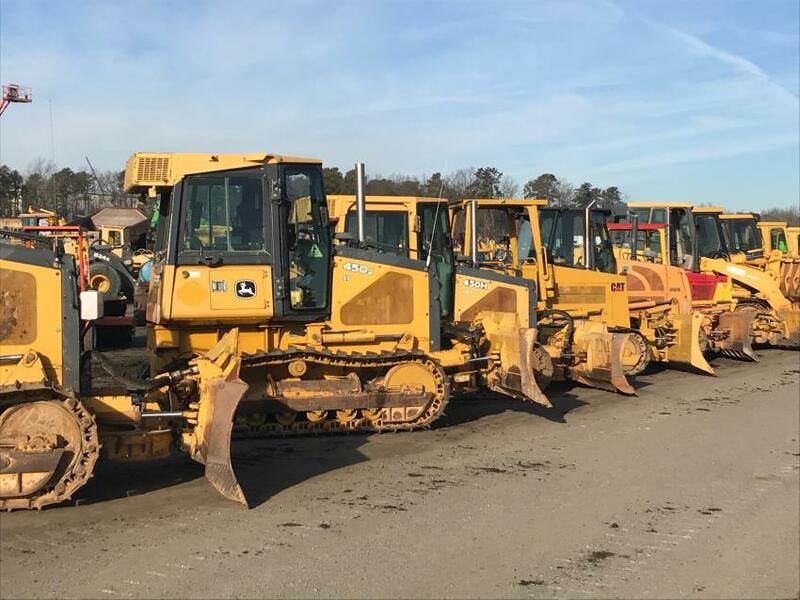 Online bidders purchased approximately 52 percent of the equipment sold (by dollar value). 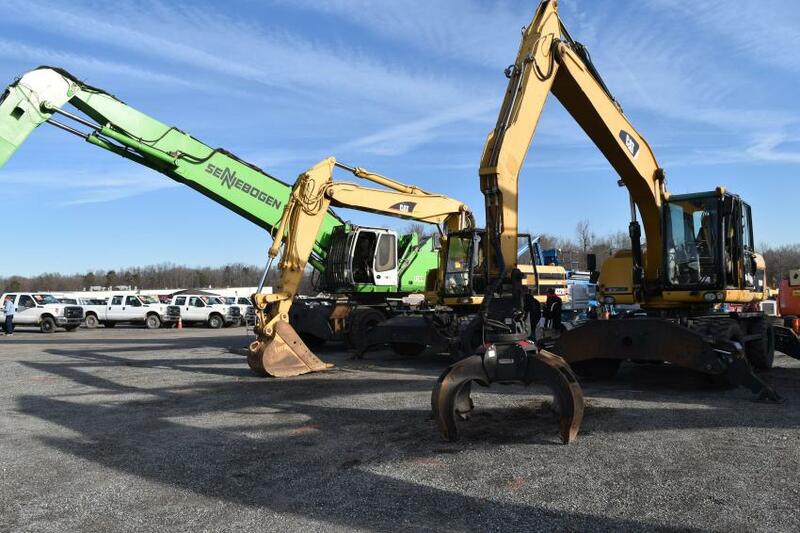 More than 2,850 equipment items and trucks were sold in the auction, including 60-plus skid steers, more than 50 excavators, 50 compactors, 25 loader backhoes, as well as dozers, cranes, and more. All items were sold without minimum bids or reserve prices. 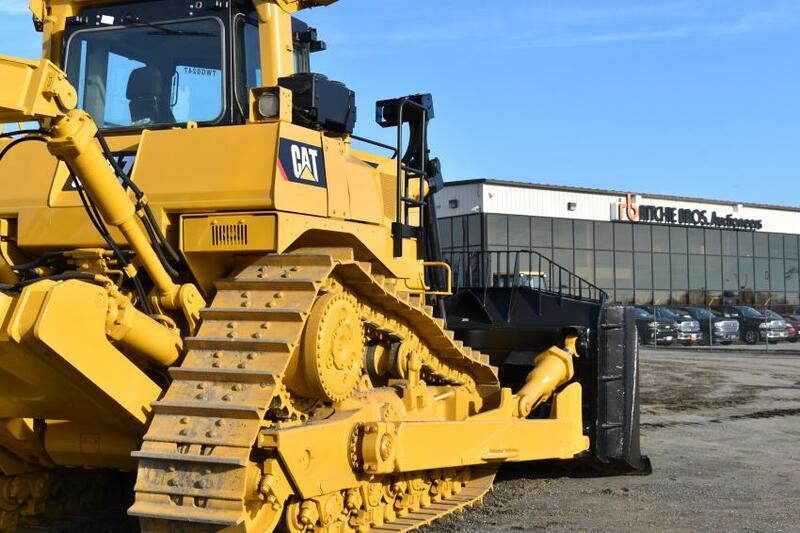 A mighty Caterpillar D9 dozer awaits a new owner (and new project) during the Ritchie Bros. auction in North East, Md. Roger Wadkins (L), owner of Wadkins Expo, Baltimore, Md., and Kevin Wadkins, who is second in charge, are ready for the auction. A Sennebogen and Cat material handler with orange peel grapple went on the auction block. 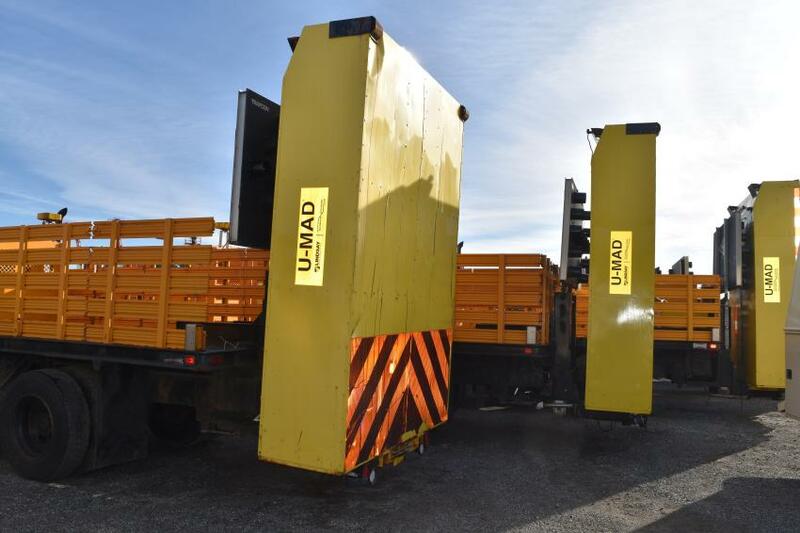 Attenuator trucks are lined up and ready for new owners. 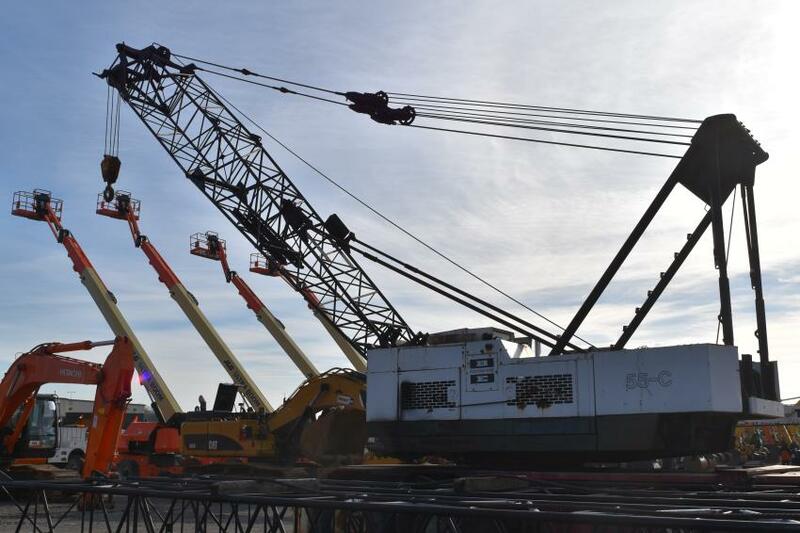 A seasoned Bucyrus Erie crane was available to the highest bidder. 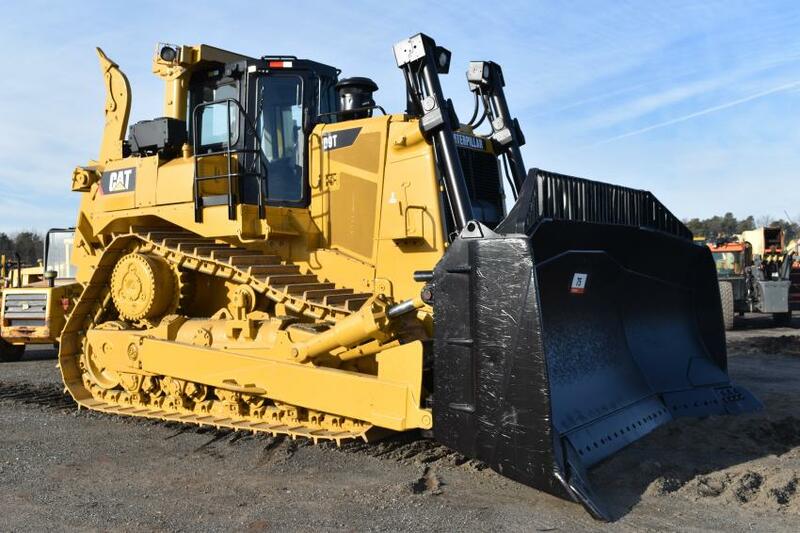 A gargantuan Caterpillar D9 dozer went up for bid during the Ritchie Bros. sale in North East, Md. 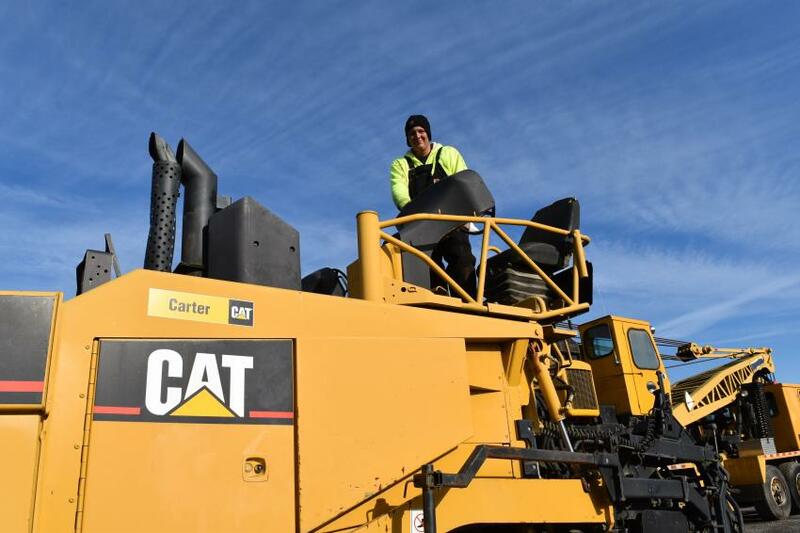 Cat, Volvo and Ingersoll Rand vibratory rollers cross over the auction ramp at the Ritchie Bros. North East, Md., auction. JLG ultra boom lifts soar into the North East, Md., sky. Bidders jam the virtual ramp grandstands, bidding on all sorts of transport trucks, including heavy-duty pickups, flatbeds, roll-offs and more. 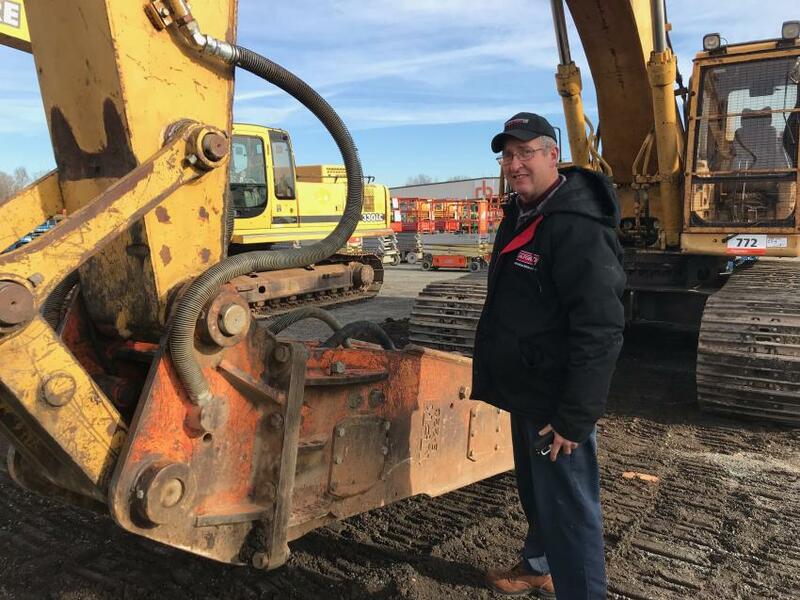 Ron Copenhaven of Lebanon, Pa., checks out an excavator with an NPK hammer that he needs for some demo work. 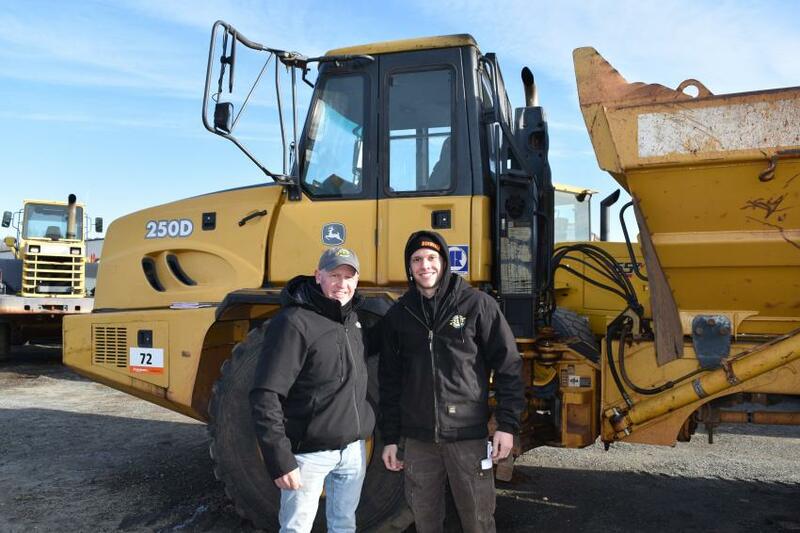 More than 2,100 lots were auctioned off, including Cat and John Deere dozers. 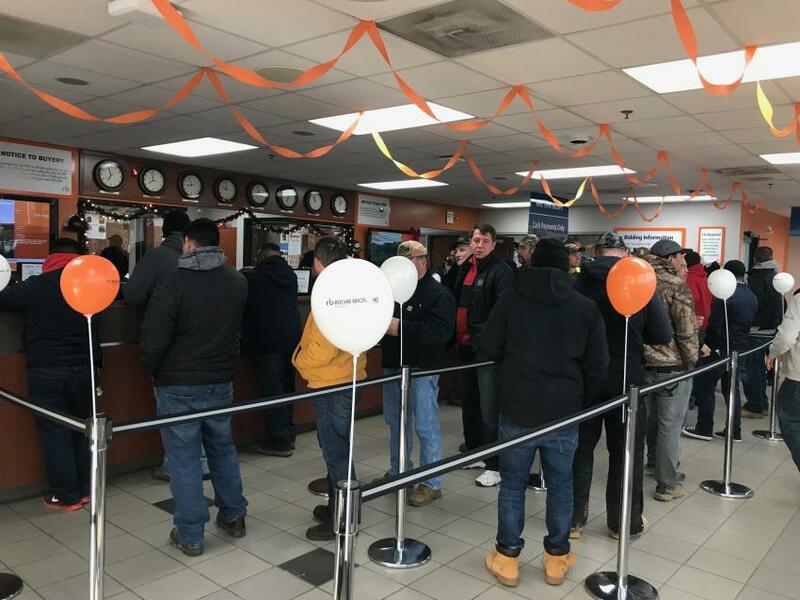 The annual December Ritchie Bros. auction drew a huge crowd as prospective bidders waited in the bidder registration line for bidder numbers and sale catalogs. Richard Wojtkowski (L), owner of Pittsfield Lawn and Tractor and his son, Chase, take a look at a Volvo articulated hauler. 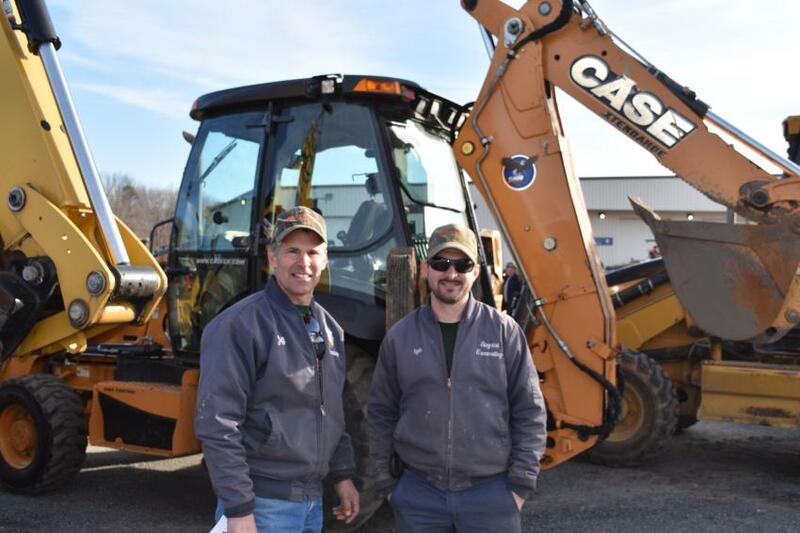 Jeff Siegriest (L), owner, and Kyle Siegriest, operator, both of Siegriest Excavating, Lancaster, Pa., may be interested in this Case backhoe. 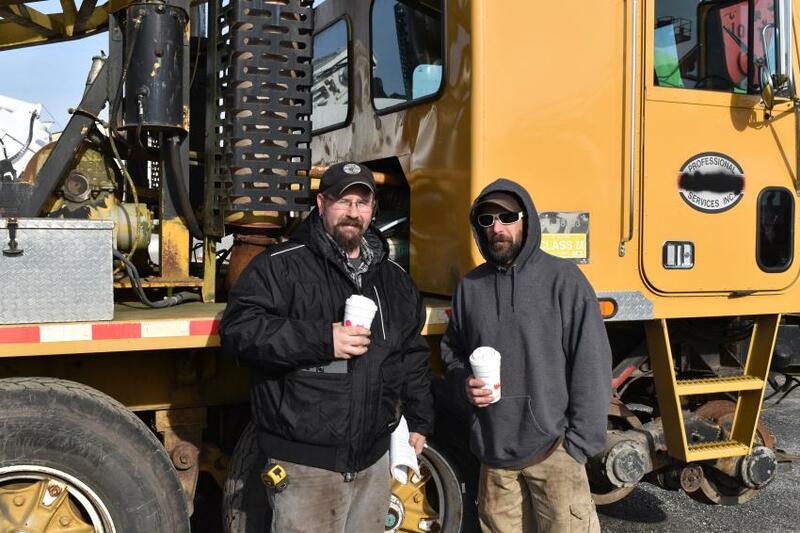 Clint Hill is a technician of EFG Paving in Marydel, Del., and he said that he enjoys reading Construction Equipment Guide in the shop.